Controversial zero-hour contracts need to be rebranded because the term is inaccurate and adds to ‘scare stories,’ according to Tory Work and Pensions Secretary Iain Duncan-Smith. 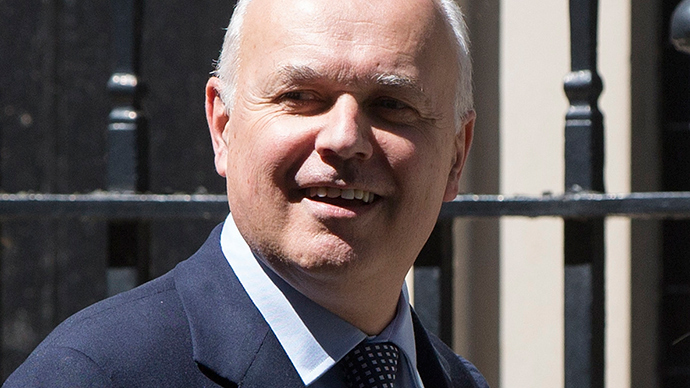 Speaking to Sky News, the politician, popularly known as IDS, said: “I think, with respect, the media and others have got this completely wrong, the flexible-hours contracts I’m talking about which are named ‘zero-hours contracts,’ they are taken by people who want that flexibility. He blasted Labour for its criticism of the contracts, which guarantee literally zero hours of work to an employee and have become a major political issue since the Tory-led coalition took power in 2010. Labour leader Ed Miliband has pledged to end the “exploitative” contracts and pass legislation to ensure workers get fixed contracts after three months in a job. The contracts have also become a rallying point for trade unions and anti-austerity activists. On Saturday, fast food workers in the UK joined a one-day international protest for higher pay, just days after mainstream British politicians promised modest rises in the legal minimum wage. Demonstrations in London began at McDonalds in Marble Arch on Wednesday morning, where activists went on to occupy the restaurant. Thirty protests took place across the country according to campaign group Youth Fight for Jobs, inspired by Fight for $15, a movement for higher wages in the US. The actions are supported by the Bakers Food and Allied Workers Union (BFAWU), the Trade Unionist and Socialist Coalition (TUSC), Unite the Union and campaign group War on Want.